Our culturally diverse community is comprised of field specialists, educators, philosophers, and change-makers who work with sacred plants to innovate projects for a better world. Our collective process enables us to revise our subconscious programming, and awaken to a new, harmonious relation with Life. We work as one circle, though we often have specific processes for men and women that function in dynamic. This reflects traditional clan structure, as well as our internal masculine and feminine sides. Our organization strives to be a model of a healthy cell, collaborating with other healthy cells through global alliances. For us, this is the only way to change the world in a practical way. Working on the base of the Sacred Wheel, we endeavor to organize our departments, projects, and internal councils to cooperate as a cohesive organism, making decisions together in circle. What do we mean by healthy cells? Nature and science teach us that cells are the building blocks of life; the base, functional unit of living organisms. Each cell is its own autonomous ‘community’ that works interdependently with other cell-communities for the wellbeing of the whole. This scientific model can be applied to the macrocosm of a social body, comprised of inter-working communities, or cells. Within each cell is the hereditary information needed to function and transmit data to the next generation. An unhealthy psychological, emotional or physical environment breeds disease that pollutes and mutates the cells, which in turn multiply as sickness and dysfunction. If we observe our current society and Mother Earth, we can note the proliferation of diseased environments and unhealthy social cells. It is essential that we transmute these sick conditions and restore the healthy transmission of information – that of sacred Nature – to each cell. Without this, we and future generations will never live in a healthy social body. We are blessed to live in the Sacred Valley of the Incas – home of Machu Picchu – in the Peruvian Andes. ​Our custom built adobe center is situated on the slope of a breathtaking mountain, completely secluded in nature yet within walking distance of our Retreat Center. This site is the home of community members, our medicinal plant laboratory, and group consultation and formation center. This is also the site of our introductory programs and formation process.​ The property has beautiful guest rooms, meeting spaces, a communal kitchen, large ceremonial temple, tipi, traditional sweat lodge and recreational field, hot showers, and electricity. Previously our community's main residence, we now open this space for rentals. This beautiful space is ideal for retreats or a community needing a space of their own. Open for long and short term rental, this community created space, accommodates large groups of people with plenty of bedrooms and out-houses, includes two medicine temples, industrial kitchen, recreational spaces, sauna and more... Please contact us for more information about how to rent this unique property. Four years ago we purchased this land, located on an alternative route to Machu Picchu. Here, we intend to establish agro-alimentation projects and an international wisdom center, as well as provide a natural environment for meetings aimed at recovering ancestral tradition. As a way of promoting cultural cooperation and ecological co-development, our community is open to proposals from indigenous communities and other non-profit organizations about how to utilize this land. Having been developed from the ground up, there are currently few facilities outside of: a dry toilet, basic kitchen area, simple dormitory, drinking water and electricity. There is plenty of space for camping. ​Experienced in spiritual community. Practicing medicine man & educator. Manager of texts & legal matters. Qualified teacher of Religion, Culture and Philosophy. Practicing medicine woman & educator. Manager of collective medicine process, circle of women & Communications. Skilled in Art & community management. Practicing medicine women & educator. Leader of the collective medicine process, circle of women & Communications. Skilled in eco-construction & Andean music, apprentice in community management. In charge of community maintenance. Community Mother & graphic designer. Forming medicine woman. Investigating Children’s Education. Project Director. Formed medicine man. Manager of the collective medicine process. Dance. Manager of Andean Project and comunity kitchen. Forming medicine woman. Practitioner in organic agriculture & bee-keeping. Manager introductory programs. ​Forming medicine man & educator. ​Manager of Community Kitchen. & alimentation projects. ​Qualified in Chinese mystic arts. In charge of selling products. ​Forming medicine man. Creative Arts, forming in educational programs. Experienced in social entrepreneurship, communications & management. Interested in art to awake consciousness & a new vision of education. Developing our sister project in Europe & networking. Forming medicine woman. Trained in Wilderness Therapy & Meditation. Specialist of Arts, Education & Philosophy. Sustaining the collective medicine process. Manage daily communications. In charge of hosting. ​ Forming medicine woman. Head of Alimentation (food product line) & researcher of ecological sciences. Medicine man in training. Experienced in team management & communication arts. Leader in Coordination & Community Kitchen. Graduated in International Relations. Working in the Text sector. Interested in psychology and mental health. Forming medicine woman and educator. Professional musician. Recovering the Andean tradition through music. Forming medicine woman. ​Head of Agriculture & Permaculture. Initiator of eco-community projects & courses. Experienced in computer sciences. Maker of our website. Qualified in Social Sciences & Alimentation. Leading the Natural Medicine Sector & developer of our eco-village near Machu Picchu. Forming medicine man. ​One of our core missions is to facilitate the weaving between groups who share a common vision to bring a bright, new world. We are stronger together than alone; therefore, we invite partnerships from NGOs and indigenous people who wish to collaborate in a practical and constructive projects. For more information about collaborating, email us at contact@willkahampi.org with the subject line “Partnership proposal”. A global community offering the chance to learn, connect, engage, and cherish life in order to create a sustainable future for all. A road-movie of a generation in search of wisdom & common sense. Support us by using Lilo's charitable search engine. Collect water drops as you search and donate them to our project! 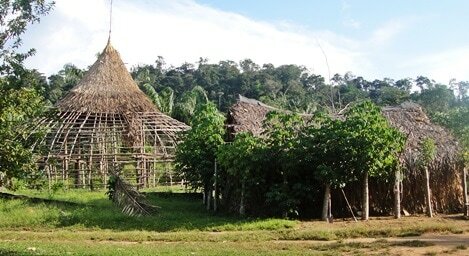 An indigenous tribe of the Venezuelan Amazon, the Piaroa are our primary tribal alliance.